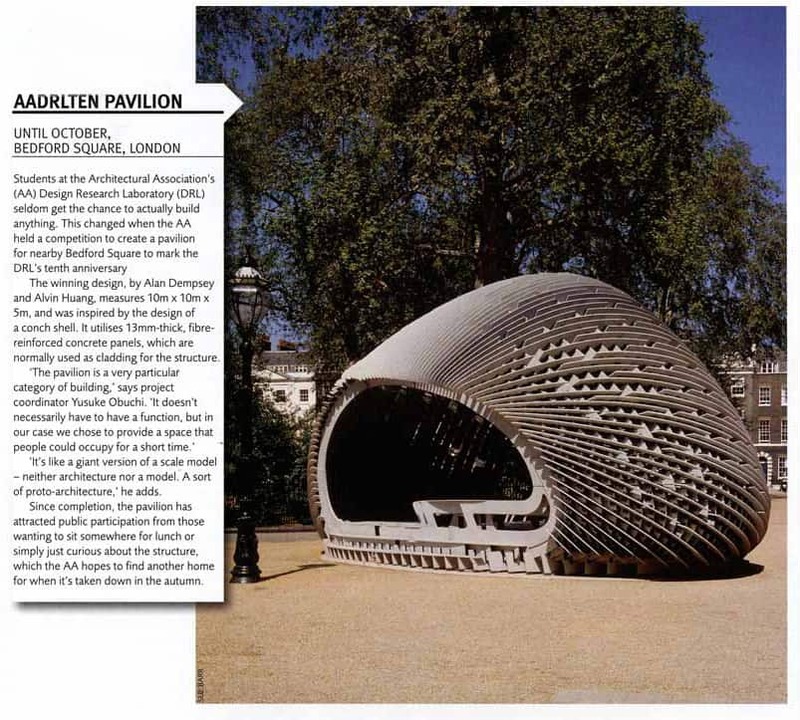 FX Magazine features [C]Space Pavilion as part of fair pavilions gracing our parks and city squares currently on display. The AADRL10 Pavilion is expected to be on display until October 2008. Issue August 2008.